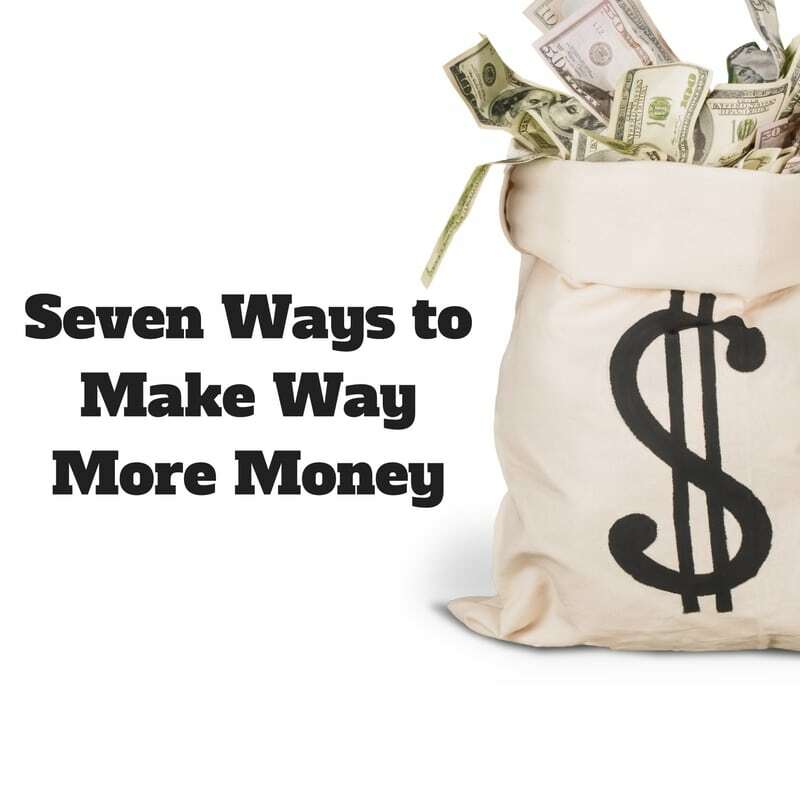 Today we share 7 ways to make a lot more money quickly, hope this helps you see things differently and more profitably! Feel free to share if this is helpful! I have come to realize that I have become very good at making money. I had this knack for most of my life but lost it for awhile but have since found it. I had a few people ask me how we hit the Inc 5000 list this year and it made me think that some of these steps people needed to hear so here you go! Spend more time prospecting than thinking or speaking negatively. Sounds simple right, but do you do it? I know most network marketers spend less than an hour a day actually prospecting but spend 4-5 hours a day comparing themselves to others negatively, complaining about their situation or fighting with attempting to learn technology. When I first got serious about creating success in network marketing I went from $0 to $10,000 a month in five months by getting 20 no’s a day in my prospecting. Every time I thought about how crappy my situation was, as I was in foreclosure at the time, I HAD to pick up the phone. Get to events. IF you are trying to make a lot of money in your business without going to events, unless you are superman or superwoman, I would venture to say that it will never happen. Big decisions are made at events AND you get your belief muscle pumped by seeing others that are creating success. When it comes to team motivation, know that the best thing you can do for your team is show them what you wish they would do. It should be tough to beat you in prospecting and recruiting numbers, be the example. Show them the way vs. try to tell them the way. Combine improving your skills with the increase in prospecting. The simplest way to make more money in network marketing is to show more people the plan (via meetings, videos, etc) however, if you also work on your skills at the same time to get better at closing and recruiting, your results will show up 2-3 times faster. IF you can make it, highly suggest getting to our event in September on prospecting or recruiting OR if you cannot make it, you may want to check out our most popular recruiting course. Figure out your real purpose for all of this. It is a lot easier on the mind to just be in a job and make just enough to pay your bills or adjust your dreams accordingly, why the heck are you doing this and what is the point? Figuring out the true vision of who you want to become is THE key to being consistent. When you catch your vision, nothing can stop you and obstacles that previously might have held you back will seem like child’s play. This training on vision has helped a lot of people. Despite the title of this blog post, embrace the fact that to make a lot of money, it may not happen quickly. In Network Marketing I see a LOT of people that are going broke trying to get rich quick. Stop it. Your income will be determined by how many people you impact, how much value you bring to the marketplace and how many problems you help solve. None of those virtuous acts are cheap or happen magically, they happen with work and YOU have what it takes to make it happen and to create the life of your dreams. I hope so. If you are struggling right now, I feel ya, I was there too just a few years ago. Re-read these seven steps and pick one that jumps out at you and share on social media (feel free to tag me). Also feel free to share this with your teammates and others to help them. Happy Sunday Ray! Thank you for writing this great post with seven great tips for network marketers. I especially agree with your comment…”Comparing themselves to others negatively, complaining about their situation or fighting with attempting to learn technology.” Too much time is spent comparing yourselves to others successes, I completely agree that this needs to stop! Just be YOU and get out there and Build Relationships and SHARE! Every day, all day, everyone is sharing information, whether it be about a new recipe they cooked the night before, or a new restaurant that they went to and really liked, a movie that they really enjoyed; People share this information with others ALL DAY LONG… Network marketing is the same thing. You are sharing what you believe in and what you personally think and why your excited about the product or service you’re sharing…. SAME THING, As Sharing your excitement about a great movie you just saw! SAME THING…. SHARING. I will share this with my team. It’s clear, simple and to the point of how to build a network marketing business, More exposure, more success. Thanks so much. Yes indeed event pump that belief muscle! So grateful to meet you Ray at LTD7! That event has changed me forever and driven me into massive action! I am creating more valuable content everyday, and BOOM leads are coming in! Prospecting is something I have been lacking in, but not that I actually have leads coming in and I after the event showed me what I REALLY have at my finger tips… Holy Smokes! My purpose is greater then ever! Now I am ready to talk to people! There are SO many people out there that need what we offer, not matter what company we are a part of. Always appreciate your common sense tips Ray. Great post Ray. Get plugged in. Take responsibility for your own business. Focus on the money producing activities. Take massive action. Those are my best tips.